Your paper shredder, especially if it is a cross-cut model, will get jammed up with dust from shredded paper periodically if you do not keep it oiled. Mineral oil is one of the recommended oils for lubrication, and it costs a lot less than oils that are marketed specifically for paper shredders. You will need to know how to properly use the oil to avoid damage and excessive dampness of the paper bin. Let your shredder cool down a bit before lubricating it if it is warm from heavy usage. Pour some mineral oil into a squeeze bottle if it is not already packaged in one. Squeeze about 1/2 tsp. of the mineral oil onto some scrap paper or a document you were planning to shred anyhow. Spread the oil across the paper with another piece of paper to be sure that all of the blades are oiled. Turn your paper shredder back on, then run the oiled paper through the machine. Repeat this same process after about every 25 uses to ensure the shredder continues to work properly. 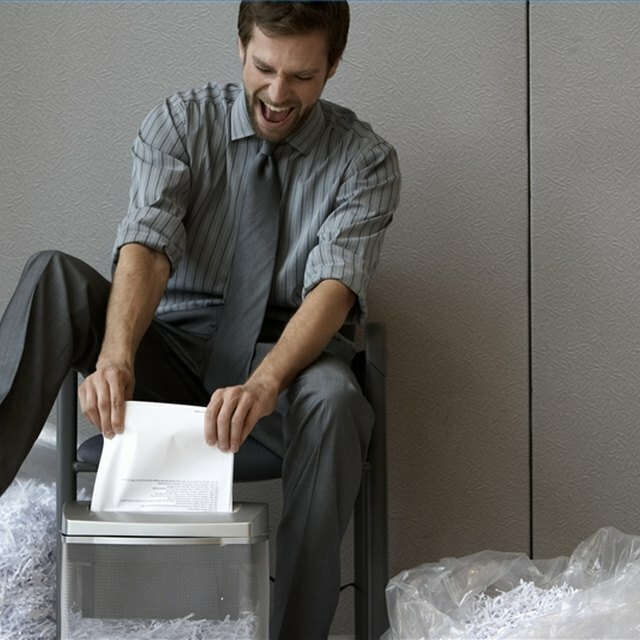 Veterinary Medicine: Idea Exchange: Your Shredder: A Well-Oiled Machine?